After hovering around historic highs for months, stocks fell in August on concerns about economic issues in China and other emerging markets. September was marked by continued volatility as investors grappled with uncertainty. Though pullbacks are never pleasant, many analysts had been predicting a correction. What contributed to market performance last quarter? Fears about slowing global growth dogged markets for much of the quarter. China, the world’s second-largest economy, took center stage in mid-August when its central bank unexpectedly devalued its currency. Later in the month, markets worldwide plummeted when reports showed that China’s economy may be heading toward a recession.2 Since then, data releases have underscored that China’s economy is in trouble. Will China slip into a recession? No one knows for sure, but it’s looking increasingly likely. What can we expect in the weeks ahead? Growth will be on everyone’s minds in the coming weeks and months as analysts look for evidence that global economic worries have reached American shores. Some analysts worry that emerging market woes risk leading the world economy into a slump. 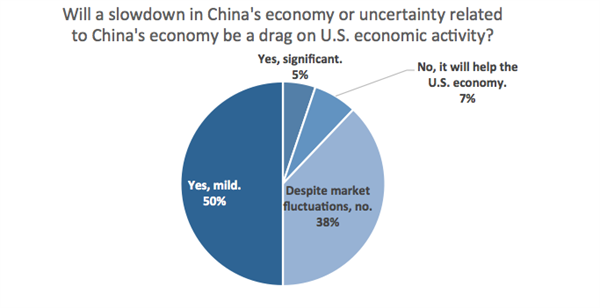 A September survey of economists showed that though many are concerned about the effects of China’s slowdown on U.S. growth, most expect the effect to be relatively mild. However, a significant minority expect China’s issues to have no real effect on the economy, despite market turmoil.6 The U.S. economy may be mostly shielded from the effects of slow global growth because domestic demand drives so much of our economic growth. Source: online.wsj.com. The Wall Street Journal surveys a group of over 60 economists throughout the year. Broad surveys on more than 10 major economic indicators are conducted monthly. September 2015 Edition. In the coming days, earnings reports will give us more information about how U.S. companies fared in the last three months. Though we don’t have a lot to go on yet, we have positive expectations after a tough September.7 The October Federal Reserve Open Market Committee will also be closely watched by analysts to determine whether the Fed is likely to raise rates this year. Bottom line: We can expect more volatility in the coming weeks as investors digest data and wait for more certainty. While pullbacks and turmoil are often stressful, we are always on the lookout for opportunities and ways to help our clients pursue success amid the uncertainty. 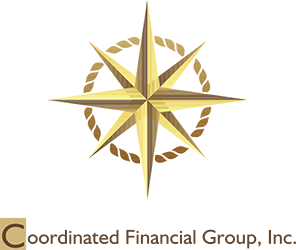 If you have questions about your portfolio or how you are positioned for today’s markets, please give our office a call. We are always happy to answer questions and offer a professional perspective.